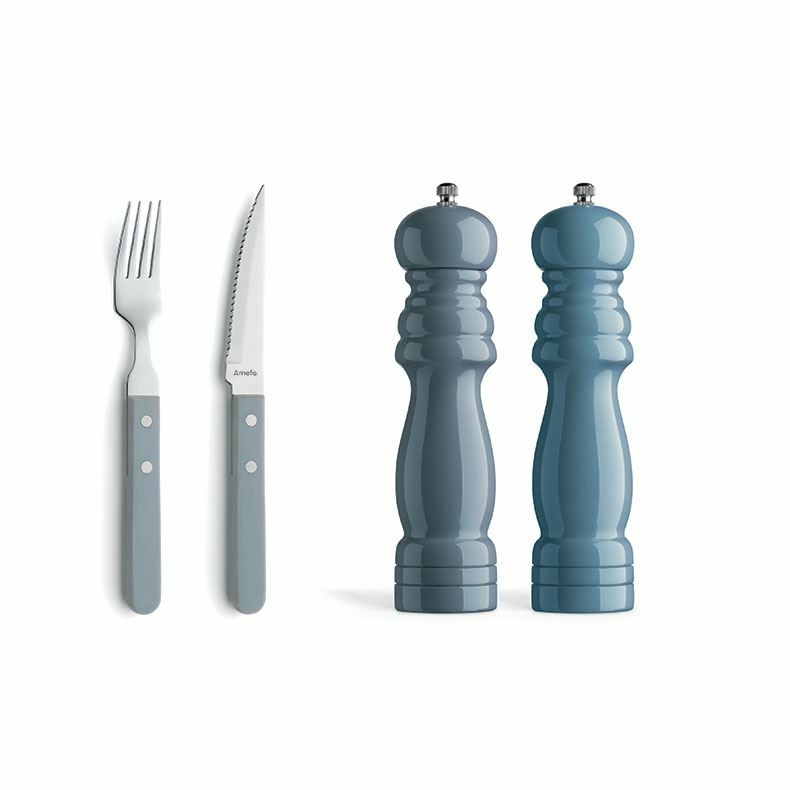 A boost of denim colors to your kitchen! 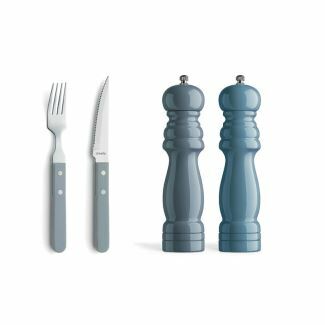 A great set for everyday use, a dinner party or a summer barbeque.The set features traditional, double riveted handles and a serrated knife that’s perfect for cutting steak. 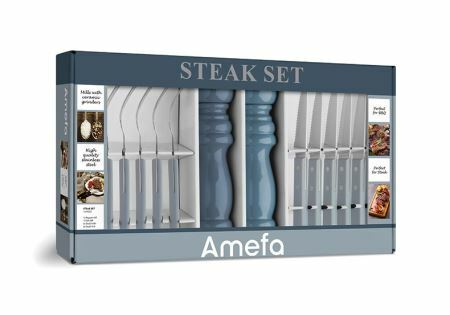 The steak forks & knives are dishwasher safe. The mills feature masterfully engineered ceramic grinding mechanisms and are made of polished rubber wood.